Join us! Thursday, November 15th 2018 6pm – 8pm Hibernian Irish Pub 8021 Falls of Neuse Rd, Raleigh, NC 27615 Your sponsor is: Emily Rowe with Beautycounter ecameronrowe@gmail.com 919-451-8254 www.beautycounter.com/emilyrowe There is no fee to attend this event and it is “Come as you are”! See you there! NWOTT December 15th Networking Event & Holiday Party! Join us! Saturday, December 15th, 2018 - Holiday Party! 6pm – 8pm Growler USA 314 S Blount St, Raleigh, NC 27601 - (Parking deck located right beside the restaurant) Your sponsor is: Christine "Tina" Walorz Life Insurance Specialist Mortgage Protection | Final Expense Living Benefits | Small Business 781.985.6958 walorztina@gmail.com There is no fee to attend this event and it is “Come as you are”! See you there! Join us! Tuesday, January 15th, 2019 6pm – 8pm Johnnys Pizza 13654 Capital Blvd, Wake Forest, NC 27587 Your sponsor is: Michelle Doeffinger Triangle Social Media There is no fee to attend this event and it is “Come as you are”! See you there! Join us! Friday, February 15th, 2019 6pm – 8pm Johnnys Pizza 96 Cornerstone Dr, Cary, NC 27519 Your sponsor is: Laura Reichert - Laura the Life Coach Triangle Life Coaching There is no fee to attend this event and it is “Come as you are”! See you there! CHARLOTTE – March 15th Launch Networking Event! Join us for our very first networking event in the Queen City! We are thrilled to have Jessica Garcia, founder of BrainstormingWomen lead the Charlotte Chapter of NWOTT! Friday, March 15th 2019 Cocotiv 1515 Mockingbird Ln Suite 400 Charlotte NC 28209 Let's make some connections, build some new relationships, and have a great time. Come as you are and celebrate with us! NWOTT Triangle – MARCH 15th Networking Event! Join us! 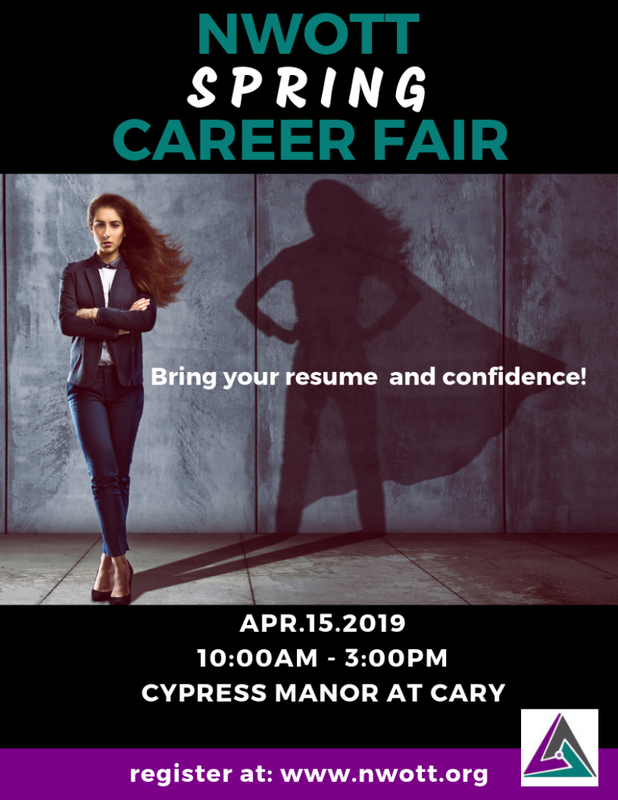 Friday, March 15th, 2019 6pm – 8pm Roots Bistro & Bar 4810 Hope Valley Rd, Durham NC 27707 Your sponsor is: Chrysti Peek with Keller Williams There is no fee to attend this event and it is “Come as you are”! See you there!